I AM ready NOW to release the illusion of separation. I had no idea that that illusion was still hiding in my subconscious. Old limitations can hide in the subconscious when they are not flushed out by novel experiences. Of course, my bi-location is only new to this version of my Multidimensional SELF. With that said, I am ready to bi-locate. For this initial experience, I know that I needed to bi-locate to a place or person to which I have an emotional attachment. Hence, I joyously chose to bi-locate to Mytria. I decided to hold my beloved in my Heart-Mind as I went about my daily duties. I shouldn’t say this, but there were things I needed finish up, just in case. I spent my day going about my business with the knowing that I would see Mytria and Alycia at the end of my day. This calm acceptance of my impending adventure helped me to stabilize my thoughts and emotions and built my confidence. That day, I was sure to look into the eyes of each of my crewmates and give them a moment of my attention and appreciation. I walked through every moment of my day with gratitude and joy. I had been so very blessed in being a member of this wonderful Mothership. I arranged to have dinner with Kepier to tell her of my plans. However, before I could tell her, she gave me her blessings and full support regarding my bi-location. Hence, I thanked her, and we casually spoke as if bi-location was common. After dinner with Kepier, I wanted to tell the Arcturian. However, I was pretty sure it already knew. I had not seen it all day, which was quite unusual, but I thought nothing of that. However, when I could not contact the Arcturian, I became concerned. I had always been able to merely feel Arcturian’s Essence beside me. Perhaps, this was another thing that I had to do on my own. Pushing my disappointment aside, I went to my quarters, left a note about my endeavor, made sure everything was neat and organized and sat down to meditate. Instantly, the Arcturian filled my Heart-Mind. I smiled and sent the Arcturian my deepest gratitude and unconditional love. “Thank you,” it whispered into my Soul. Then I set my intentions on the FEEL of Mytria. This was a simple task as she had eternally been in my heart since I had left her. However, now I felt joy whereas before I felt sadness. 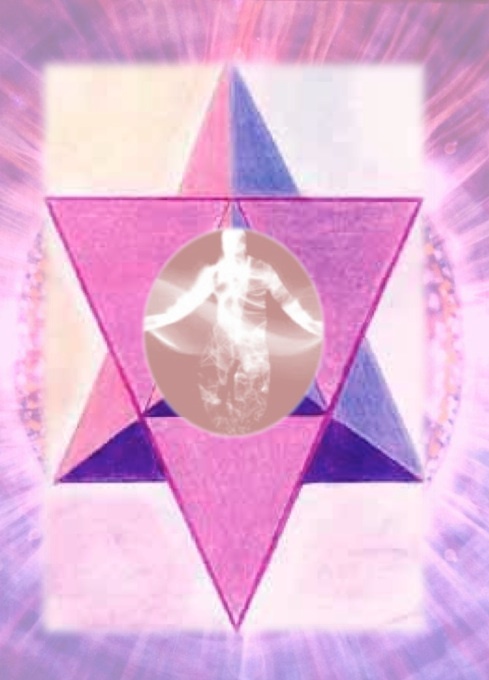 Then, I relaxed deeply into my meditation and allowed the inner lights to gradually create the outline of the Merkaba. I sent down a grounding cord through my Mytre self and projected my consciousness into the Merkaba. My Merkaba energy field was much calmer now and filled with my intention to be with Mytria. I took a long moment to perceive my room from both perspectives of my Mytre self and my Merkaba self. I sent a quick request out to the Arcturian to guard my Mytre form and focused my attention inside of the Merkaba. With most of my attention focused on my Merkaba I could fully sense my self in a unique way. I had always thought of my self as my form, but now I was experiencing my self as energy. At first I contained my energy inside the Merkaba, but then I allowed it to move beyond the Merkaba and out into my quarters. I then pulled it back into the Merkaba and then projected it again to fill the room. After practicing controlling my Merkaba energy field, I focused my attention on the FEEL of Mytria. Instantly, I felt a deep love, as well as a feeling of welcoming. Did she know I was on my way to see her? “Of course; I think of you daily, just as you think of me,” I heard her sweet voice echo throughout the Merkaba. I was fully calibrated for my destination. 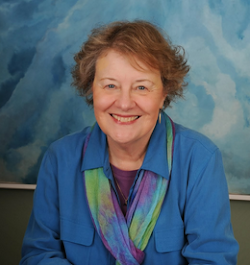 Now, I had to completely trust my SELF and totally surrender – to what? What should I surrender to? “Surrender to your Soul,” came the inner direction of the Arcturian. I had not thought of the concept of my Soul for quite a while, but I instantly could feel that energy. Since my Soul had all the Wisdom, Power and Love of all my myriad incarnations in form, it knew exactly what I was doing and why. Therefore, I let go into the FEEL of my Soul with the destination of Mytria inside my heart. As I totally surrendered to my Soul, the energy field of my Merkaba became alert and centered. It had coordinates and permission. I tried to split my attention between my Mytre and Merkaba self, but as I felt an unusual sense of moving while also staying still, I could only focus on the Merkaba. With all my attention on the Merkaba, the slow movement shifted into high gear. Suddenly, I sensed a movement that felt faster than light, but my perception stayed focused only on the energy field around me. Thus, I felt as though I was moving, but my sense of sight and hearing did not register a shift. On the other hand, I did feel the intense movement both kinesthetically and emotionally. However, my thoughts were only on my destination and registered no change. Then, almost instantly, I was at the lake in the wilderness where I first met Mytria. I remember that the first time we met there I had been sent to find her because her friends were concerned about her disappearance. It was almost dark, just like the first time. However, that time I was quite upset that she had alluded me for so long. But, this time my heart burst with joy to see her beautiful body swimming in the cool lake. I felt like two people, actually three people. One person was in my quarters in the Ship, the other was the person I had been when I first met Mytria, as well as the one who was bi-locating. My presence on the Ship felt as if it was a person in a dream. At the same time, I could feel the old version of me as if it were an echo of the bi-locating version. With all the myriad experiences of my self, I almost forgot about Mytria. That is until she came to me and said, “Mytre? Is that you?” The sound of her voice pulled me out of my analysis and into the emotional moment of our reunion. I instantly pulled her into my arms and hugged her so tight that we became one person. Mytria began to cry and I joined in. We had not known if we would ever see each other again. It seemed like forever that we stood frozen to that spot and held each other as tightly as we could. Finally, we pushed away, just a bit, to see each other’s face in the fading light. We kissed and held each other again. Finally, we sat down on the rocks by the lake and talked until the Moons rose high in the sky. We had so much to say, and neither one of us knew how long I could stay there. Mytria also told me that she had to open the Portal to the Core of the Mother where we first met in Spirit. Then, we each looked at each other with the same look of surprise. “Have we met like this before?” we said simultaneously. We then laughed and hugged again. Mytria looked the same age, and she said I did too. However, I was simultaneously experiencing being the one I was long ago and the one I was now. Mytria said that she felt the same way. We were both quite confused, but did not care because we were so happy to be together again. “How is our daughter, Alycia,” I asked. I told her that of course I would, and we walked to the Sacred Rock hand-in-hand. As we walked, I was not sure if she was in the same timeline as when we met before, or if she, too, had moved into another version of her SELF in a distant future. I did not want to say too much for fear I would negatively affect her timeline. All I knew was that she remembered my assisting her before, but I did not know if that memory was a déjà vu experience or another version of her life. I decided to release my thinking and focus totally on how wonderful it felt to be with her again. When we arrived at the Sacred Rock, I felt myself fading away, just like the first time. My eyes flew open, and I was in my quarters. I looked at the clock and found that no time had passed. Had that been real? Had I had a very vivid meditation, or had I actually bi-located? However, if I had been meditating, time would have passed, right?? Since no time had passed, and I had appeared to be there quite a while, does that mean that I really bi-located? I was extremely cold. So I stood up to get my jacket. However, my legs would not hold me, and I fell to the ground. I had to slowly stand and carefully walk around my room to accustom myself to this body. Perhaps, I had bi-located, but I could only hold my consciousness in one version of my SELF. I dunno why... It were tears of joy and relief.. Thank you Mytre, Arcturians and Suzanne.